Monkeying around, highly interactive with an incredible photo opportunity for guest of all ages. At first glimpse you will think he is real! Want him to look even more convincing? Book our zoo keeper to fool your guests even more! 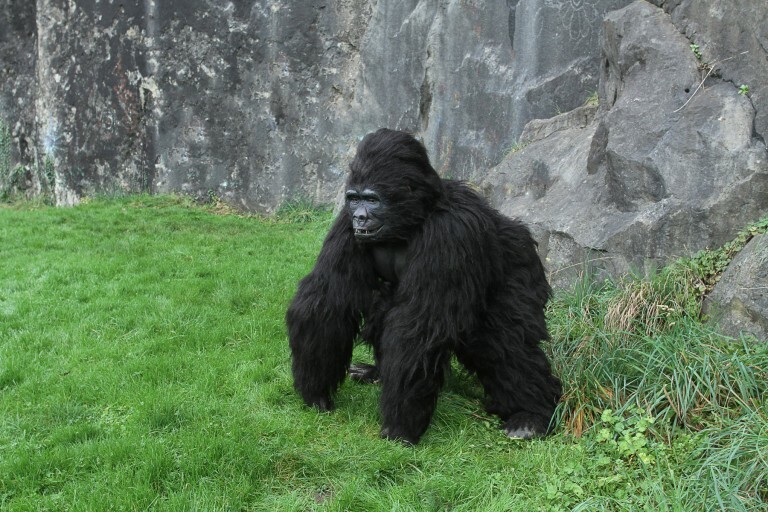 The gorilla has realistic movements, fur and his mouth opens and closes via animatronics. Book our ring master or jungle animals to go with him for greater impact at your event. Perfect for jungle themed parties, zoo themed events, family days out, festivals, night clubs, bar mitzvahs and more. Get in touch to make your event one to remember. 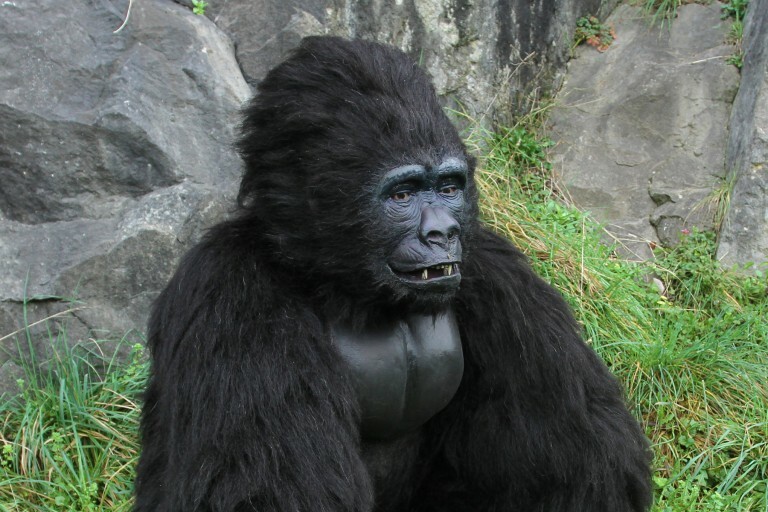 Hire a Gorilla UK | Gorilla for hire | Realistic Gorilla | Animatronic Gorilla | Cadbury Gorilla | Drumming Gorilla | Gorilla costume for hire. 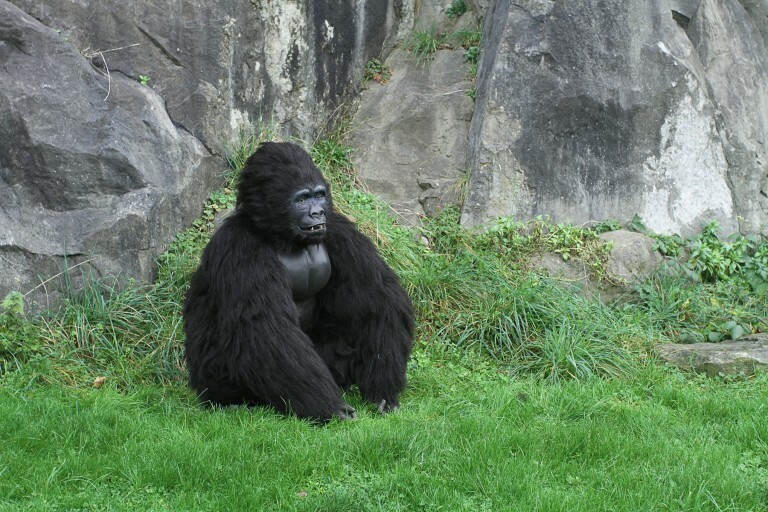 Hire this realist animatronic Gorilla costume and performer for film, tv and all public and private events.